Many of us want to know more about the celebrities that have become part of our culture. From musicians to chefs, these personalities have become part of our consciousness. So when you can get some insight from these in-the-know celebs wouldn't you want to? That's where Reserve Channel comes into play. 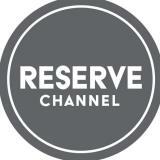 Reserve Channel provides access to some of the most extraordinary people and places life has to offer. Whether it’s traveling to exotic locales, getting inside the studio with iconic artists or cooking alongside legends, Reserve Channel delivers unique and compelling original programming, combined with over 100 hours of quality HD licensed material. During the holiday season, Reserve Channel has a HUGE giveaway with some of its biggest personalities. A copy of his book, "Listen"
I'm a total foodie. My hope is that I would win either the Eric Ripert or Tom Colicchio giveaway. For any fan of Top Chef, these gifts would be perfect. To enter, you simply need to like Reserve Channel on Facebook, then answer this question through the holiday giveaway app: which Reserve Channel show is your favorite and why? You can enter once a day, which means you have a chance at winning all the daily prizes!